Today is the release day of By Her Side by Lizzy Chandler. I previously reviewed (and loved) Lizzy's rural romance novel Snowy River Man, so I asked her to tell us a little about why she moved from rural to romantic suspense for her second release. Today is the release day for my new novel, By Her Side, a contemporary romantic suspense set in Sydney. It features Rory Whitfield, the granddaughter of a wealthy businessman, and Vince Maroney, a cop from an underprivileged background who is on compassionate leave from the force. It's a departure from my first novel, Snowy River Man, a rural romance which features a psychic heroine and a single-dad grazier and is set in Snowy Mountains country. So, you ask, why the shift from rural romance to romantic suspense? When I started writing Snowy River Man I didn't even know rural romance was a thing. I've spent a lot of time down in the Snowy River Shire area near Adaminaby and I love the countryside, its beauty and ruggedness, as well as its history. When the idea came to me to write about a psychic heroine looking for a lost child, it seemed natural to use that area as a setting. The drowning of the old town of Adaminaby, done to make way for Lake Eucumbene and the hydroelectric scheme, has haunted me since childhood and was the perfect backdrop for the story. When I was brainstorming By Her Side, I didn't even consider using a rural setting. Both Rory and Vince are urban characters. They grew up in different parts of Sydney, with backgrounds that reflect differences in privilege, education and opportunity. The inspiration for their story came in part from my own experience as a teenager. As a sixteen-year-old from Sydney's northern beaches (with an aunt living in Kirribilli, near where Rory's grandfather lives), I started going out with a boy of Italian descent who grew up in Marrickville, a then-downmarket suburb in the inner west. For me, visiting his household was like going to a different and fascinating world. Delicious food, musical language, different customs. Although our relationship never developed beyond friendship, for one of my younger sisters a similar encounter shaped her life. She started going out with a Lebanese boy who grew up in Bankstown, a suburb further west. Again, it was like two worlds colliding, but in their case the magic happened. When they were older, they married, had kids and are still happy together many years later. I guess, in a way, they were the real inspiration for Vince and Rory's story. In By Her Side, Rory and Vince are thrown together when Rory's influential grandfather persuades Vince to act as her temporary bodyguard. With Rory's half-brother missing and Vince's estranged wife recently killed in a car accident, the two are caught up in events that forge a bond between them strong enough to last a lifetime. 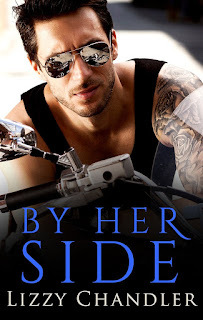 To celebrate the release of By Her Side, I'm holding a giveaway on my author blog. To be in the draw, please follow this link http://lizzychandler.com/by-her-side-giveaway-competition and enter your details. The competition is available internationally, so tell your friends! Please note, By Her Side is only available as an ebook. She would trust him with her life. But can either of them trust their hearts? Rory Sutton Whitfield isn’t a princess, even though her wealthy family insists on treating her like one. Fresh from her travels and finally achieving the independence she craves, the last thing she wants is to become swept up in family problems. But her half-brother has disappeared and her grandfather insists on hiring a bodyguard for her. Rory won’t be controlled by anyone, especially not a taciturn detective like Vince Maroney, a man of few words who nonetheless arouses disturbing emotions. Vince Maroney has learned his lesson about playing the hero; he stepped up once and it cost him everything. But when he saves the granddaughter of one of Sydney’s wealthiest men, he finds himself embroiled in events beyond his control. Rory is beautiful, smart, independent. But her family is all secrets and lies, money papered over injustices. Rory makes him feel things he thought long dead, but the pains of the past create distance, and she comes from a completely different world. How can one of Sydney’s pampered princesses ever find common ground with her reluctant bodyguard? 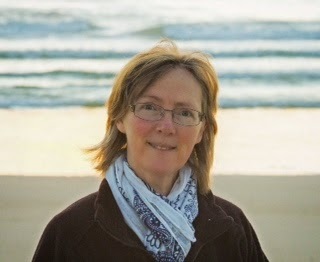 Lizzy Chandler has written a number of novels in different genres, including romance, suspense and fantasy. Snowy River Man is the first of her novels to be published. Lizzy is passionate about social justice and mental health, and loves stories that convey the healing power of love. She shares her time between her home on Sydney’s northern beaches and living in the Blue Mountains with her partner. Thank you, Lizzy, for sharing the background of you new book By Her Side. I love hearing about the process an author goes through when creating characters and plot. This is particularly so in the case of a book I enjoyed reading - an I certainly enjoyed reading this one. Rory and Vince are wonderful characters and I liked the settings of both Sydney and the Blue Mountains. It's great to read romantic genre fiction set in familiar surroundings.